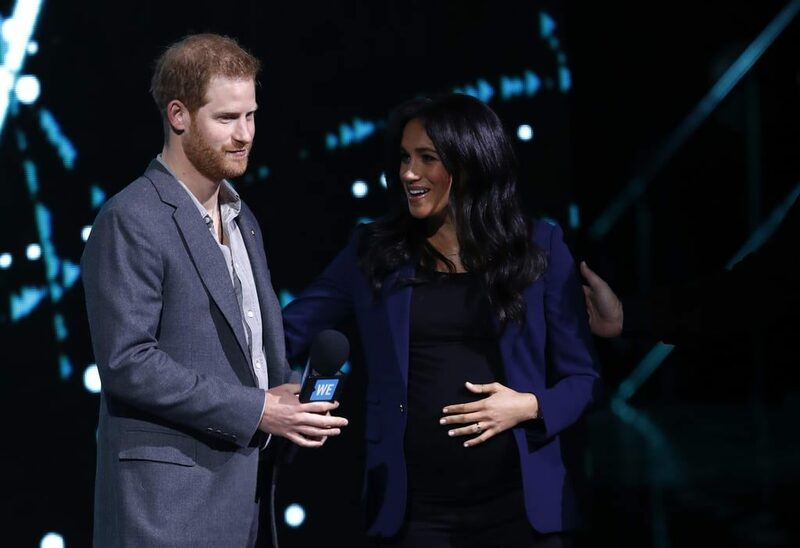 Much to the delight of the audience at the SSE Arena on WE Day, Prince Harry was giving a quick three-minute speech when he invited his pregnant wife on stage! This appearance was totally unexpected, but totally welcome – I’m sad we likely won’t be seeing her much while she’s on maternity leave (which apparently just started). 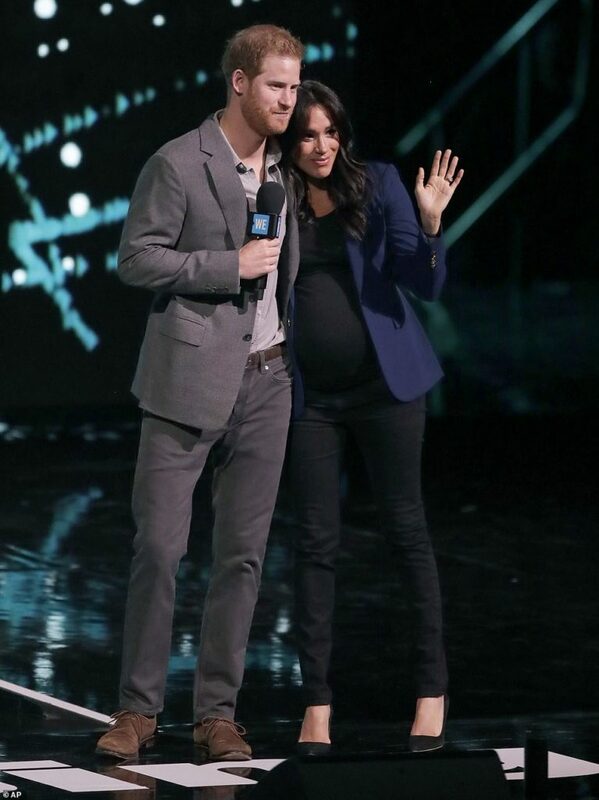 Unlike many of her official engagements, Meghan got to dress down a bit for this surprise short walk on stage. She opted for a luxe cashmere blazer by Ralph Lauren, a black maternity tee, the Rag & Bone maternity skinny jeans we’ve seen her in a bunch, and classic Manolo Blahnik BB pumps in black suede. She topped this polished outfit off with gold jewelry from Jennifer Meyer and Pippa Small! 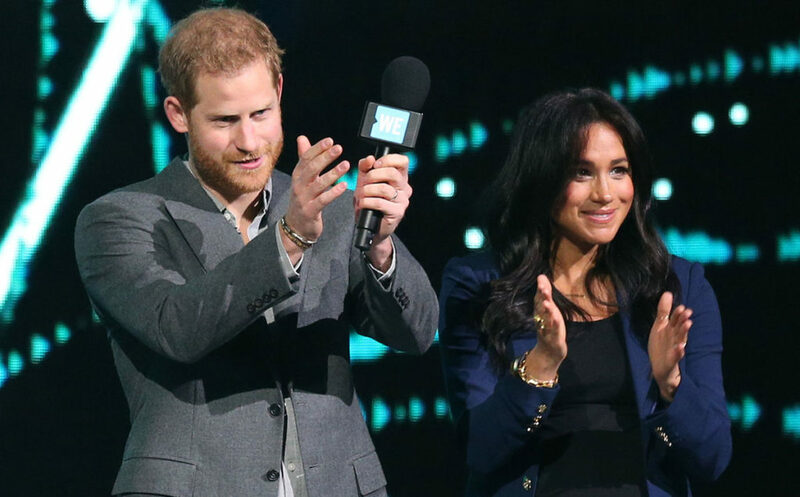 See more photos from this appearance by the Duke and Duchess of Sussex at WE Day below, and shop Meghan’s look at a variety of price points!